Vector illustration. Flat backgrounds set. 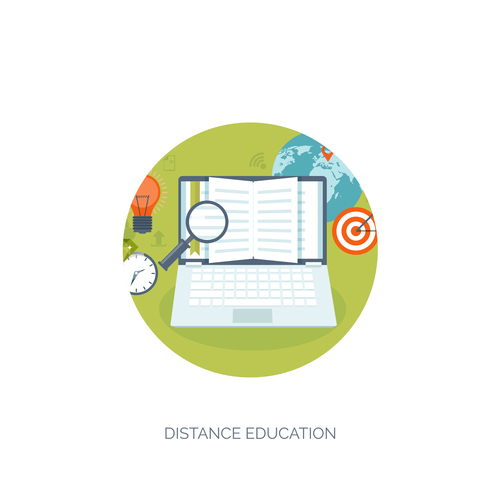 Distance education ,learning. Online courses and web school. Knowledge ,information. Study process. E-learning.